28 Harrison Garden Blvd. / 30 Harrison Garden Blvd. 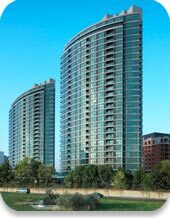 Great units for sale at 28 Harrison Garden Boulevard and 30 Harrison Garden Boulevard in North York. Conveniently located at Yonge and Sheppard. Easy access to the Highway 401. Wondering what your home or condo unit is worth? Get Your Quick Home Market Evaluation Online, Just Click Here or call me directly at (416) 305-8008. Categories: North York Condos | Tags: 28 Harrison Garden Blvd, 30 Harrison Garden Blvd, north york condos | Permalink.